Exhibition at Copro Gallery (November 15th through December 6th) in Santa Monica, CA. For 2000 years Apelles of Cos was known as the greatest of painters. Praised for his grace and sensuality – he was not only Alexander the Great’s exclusive portrait painter, but was the single greatest influence on what we know as the Renaissance and Baroque. Albrecht Dürer was known as the “German Apelles”. Botticelli bragged he was Apelles reincarnated and repeated his compositions. Rembrandt, late in life, adopted the four color “Apelles palette” striving for his graceful harmony. And Titian unabashedly recreated Apelles’ Armor-bearer which now hangs at the Getty Museum in Los Angeles. The Old Masters were proud to be “behind the times”, unoriginal, and earnest pupils of Apelles. 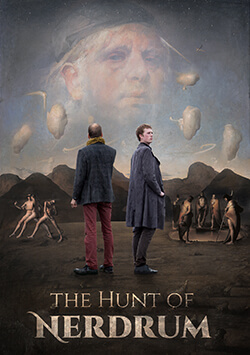 Hillestad, Knodell, and Molesky have each apprenticed with the living master Odd Nerdrum – a man who, for fifty years, has boldly painted pathos. Together these four painters have sought out the lessons of Apelles – the tradition of the Old Masters. A tradition not isolated to the 16th century, but one that for more than 2400 years continues to return. Copro Gallery is proud to present Odd Nerdrum, Luke Hillestad, Caleb Knodell, and David Molesky – the living Pupils of Apelles.